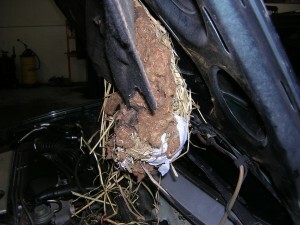 I thought I would share some information regarding rodents nesting in cars. 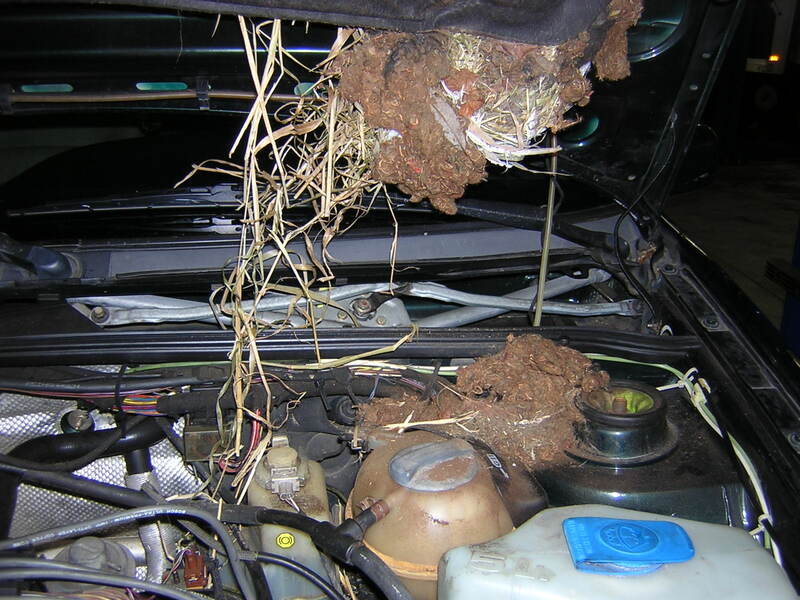 You most likely will not know you have this problem unless someone has opened the hood of your car and shared this with you or you have had a rodent related problem with your car. The little critters can cause literally thousands of dollars in damage in a very short period of time. What you generally will find is anything from rodent droppings, wire insulation chewed through, under hood sound insulation ripped away from the underside of the hood and stored on the engine, dog food stored under hood, damage to plastic or rubber components or the worst is when they get into the cars heating/air conditioning system and die. We recently had a car visit our shop where the customer had gone to the local dealership because his “check engine” light was illuminated while the car was still covered under the factory warranty. 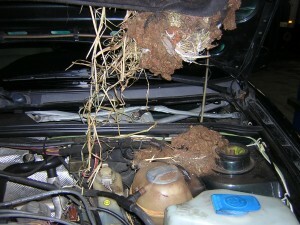 Come to find out rodents had chewed completely through part of the under hood wiring harness. The estimated cost from the dealership was $5000.00 to replace the entire under hood wire harness; fortunately for this customer we were able to correctly repair the harness for $350.00. If someone lets you know you have rodent activity under your cars hood my advice is to take action to fend off the little critters or you may find you have more trouble than you bargained for. I have been very satisfied with the service work that Michael’s Auto Repair has completed on my vehicle. Everything was done same day and Michael gave me thorough and understandable information about recommendations. I only regret not taking my car to you sooner. You will have me as a customer from now on.